Mark Hoffmann was raised in Green River, Wyoming .He worked with his dad at the family business, Hoffmann Motel, and developed the skills of plumbing, electricity, carpentry, brick laying, and concrete finishing; then later was taught building and carpentry skills by a hired hand union carpenter. For forty years, Mark and his father would plow ice rinks and trails on the Palisades Pond where they spent many days enjoying ice skating. During his school years, Mark was very involved in a variety of activities including student council, basketball, class vice president, speech, class president, track, letter club, thespian society, national forensic league, speech, science club, yearbook photographer, Boys State, skiing, figure skating, archery, and handball. He was employed by the Union Pacific Railroad as a telegrapher clerk during high school summers, and then worked as an engineer trainee for the Bureau of Reclamation on the Flaming Gorge Dam. Mark attended Northwestern University in Evanston, IL for two years where he met his wife, Janis. He later transferred to University of Wyoming to complete a Bachelors degree in civil engineering. While in Laramie, Mark joined the ROTC and received a second lieutenant in the US Army Corps of Engineers. Mark continued his education in Laramie and earned a Masters degree in structural engineering. Mark went on active duty receiving Engineer Officer Basic Course (EOBC) training and then assigned to the duty at Minot Air Force Base in North Dakota. He was the only Army officer on base and oversaw the construction of blast resistant, pop up antennas for all the missile launch control facilities. Mark received orders to Vietnam where he spend a year in Saigon working for the 579th Mapping and Intelligence Detachment of the 18th Engineer Brigade. Mark returned home as a First Lieutenant on Christmas Eve 1966. Mark found a job with KBM in Grand Forks, ND where he spent thirty years working a variety of engineering duties. He became president and CEO of KBM Engineering by the time of his retirement in 1999. At that time, Mark chose to work part time for a consulting firm. Mark and his wife, Jan, have four children (Brian, Brenda, David, and Dale) and six grand children. Mark most recently is involved in the Green River Lincoln High Mirth and Missives, a school newsletter compiled from notes written by school mates and sent to over 300 recipients every Friday morning which keeps Green River classmates and graduates connected through stories and memories. Jack Beard grew up in Wyoming and attended Northwestern Community College in Powell. His mother passed away during this time, and his extended family encouraged him to pursue his education. A cousin gave Jack money to pay for his tuition, and Jack promised to repay the money when he could. The cousin said that wasn’t necessary but wanted Jack to “repay the loan by helping someone else.” Jack did just that. He devoted his life to helping others. After Northwestern Community College, he attended the University of Wyoming and Eastern Montana College of Education in Billings, Montana. 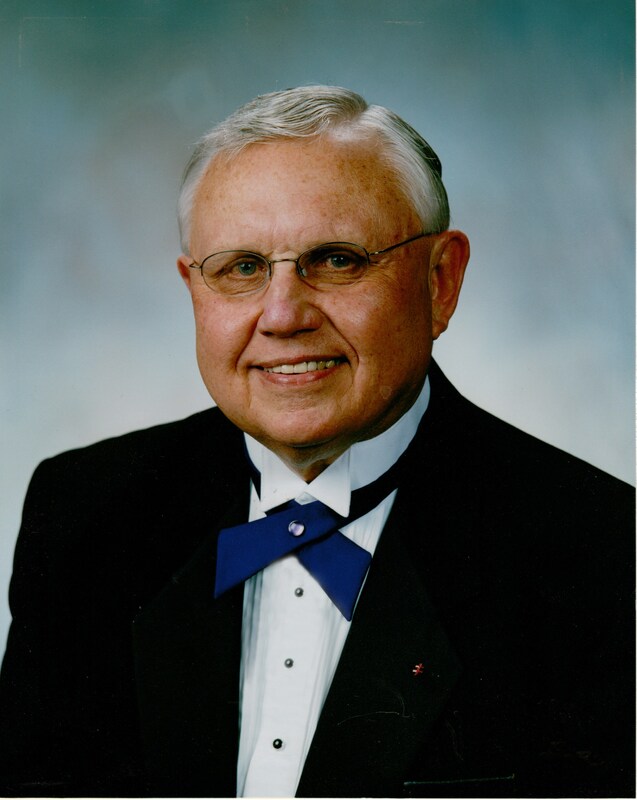 He received a Bachelor of Science degree in Elementary Education in 1959 and Masters degree in 1965, also in education. Jack taught and coached in Guernsey, Wyoming and then moved to Encampment to continue teaching and coaching basketball. He spent one year teaching in Great Falls, Montana before moving to Thermopolis to teach and coach football and swimming. There he met his wife, Lois, and they married in 1961. The couple moved to Green River in 1963 where Jack was a teacher and assistant coach in football and basketball. 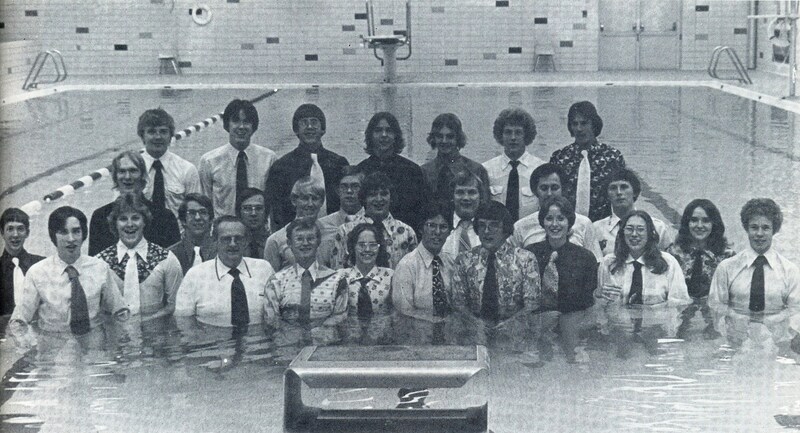 When the Monroe pool was completed, he was hired as the first swim coach. Jack enjoyed his coaching responsibilities and spent much of his time the following years developing his program and helping his swimmers to improve. As swimming became a popular sport in Green River, Jack found himself with an almost year round job that included high school and junior high swim teams. The hard work of Coach Beard and his swimmers started to pay off as many of his athletes began setting state records. This led to the incredible feat of four consecutive Class A state titles in 1974, 1975, 1976, and 1977. Jack received numerous awards and recognition for his work with young people. In 1962, he received an award from the VFW of Thermopolis for his work and coaching. He was awarded the Key Man Certificate in 1959 by the Thermopolis Junior Chamber of Commerce. The University of Wyoming recognized his work and cooperation as he mentored student teachers. 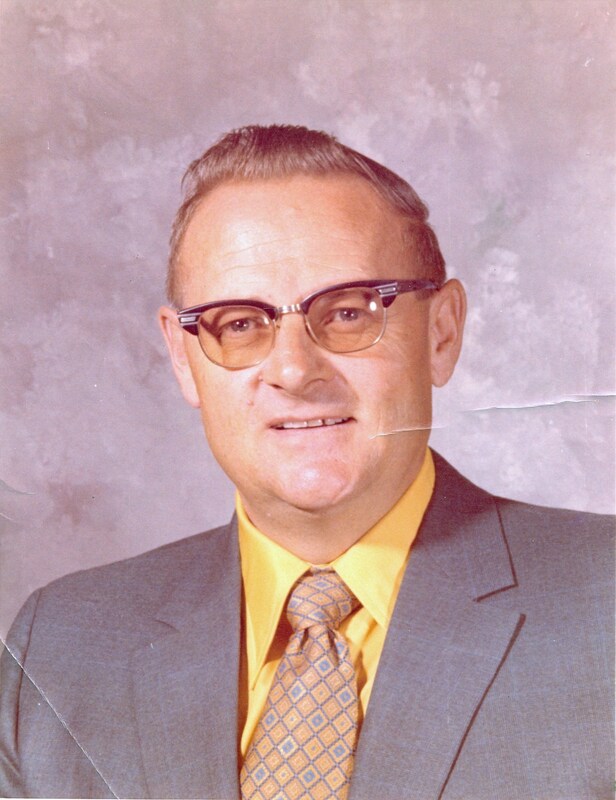 But, he was especially proud when he was awarded swim coach of the year for the state of Wyoming in 1976-1977. Jack found time to be active in the Green River Lion’s Club. He was elected the moderator of the Union Congregation Church serving a two year term. He was the proud parent of his two children.. In 1981, Jack passed away suddenly from a heart attack. He was loved dearly by his family and is missed by all who knew him. A scholarship fund was set up in his name in 1981 and is offered through the Union Congregational Church. William “Bill” Hoyt was born in Wichita, Kansas .His grandfather was a fiddler and played for barn dances and for fun. His dad loved to sing, his mother played piano and sand in a choir, one brother played a clarinet and sang, another played the trumpet and sang, and his sister played the piano and sang. After his family moved to Laramie, Wyoming, he frequently attended music and theatre performances at the university where Bill developed his own musical skills in piano, trumpet, and singing. Bill remembers some of his favorite teachers that taught him life-long lessons and provided him with the skills necessary to be a successful teacher, his first band director encouraged Bill to pursue music. 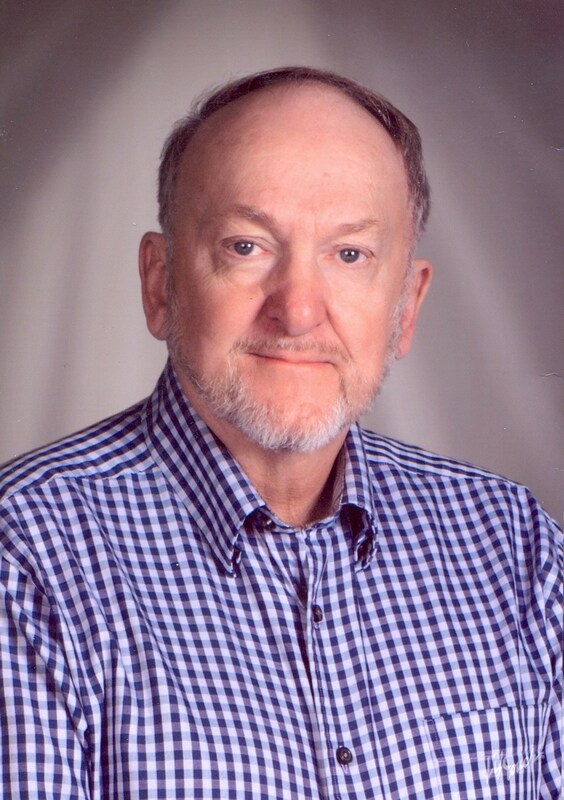 After completing his student teaching in Evanston, Bill was offered a vocal teaching position in Green River school district where he taught kindergarten through twelfth grade. Bill has been involved in additional musical activities which include church choir director, church organist, lay speaker, high school musical pit playing, Sweetwater County Concert Association, jam sessions at the Senior Center, Sweetwater Sounds member, DQYDJ (Don’t Quit Your Day Job) band member, community band, community choir, community theater, and many other musical groups in Sweetwater County. Bill taught in Green River school district for forty-six years before retiring in 2013. Bill has many fond memories of his years as a teacher. Once, he helped a female student learn how to play the bass because her previous band director wouldn’t allow a girl to play one. Even though he didn’t know how to play it himself, he learned so he could teach her. She is still playing in country and rock bands across Wyoming. Another student was chosen to receive a music award whose mother couldn’t believe that he had been chosen as she thought he didn’t have any musical talent. This boy just recently graduated with a master’s degree in music. Once, when Bill visited the high school, one of the secretaries (and former junior high music student), remembered and could sing one of the songs he taught her. Bill’s statement, “You never know exactly how you influence your student,” is certainly demonstrated through the various lives he’s touched. He has received several awards, which include Key Man for Jaycee’s, Teacher of the Year for Wyoming Music Educators nomination, and Distinguished Citizen of the Year from Green River Chamber of Commerce. In 1974 they defeated all teams in the A division as well as three AA teams. Eleven team members received all-state awards and several set state records. At state they beat the second place finisher by 39 points. In 1975 they defeated all teams except one, which was Rock Springs, a AA school. At state they beat the second place finisher by a narrow six points. 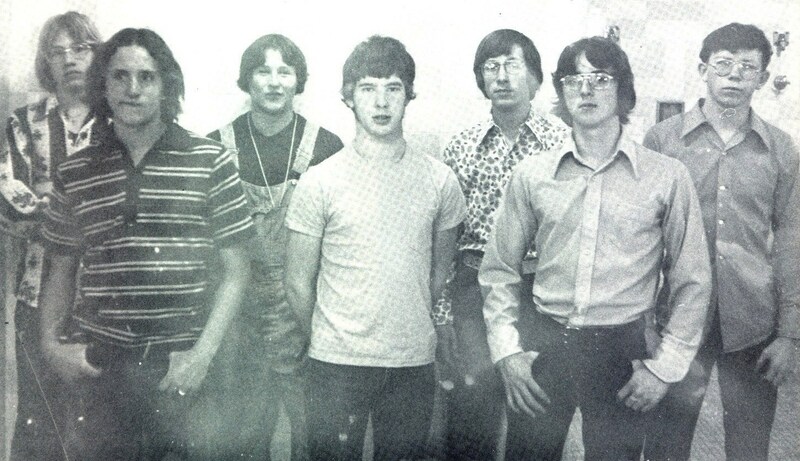 The 1976 team ended their season with a 17-1 record and beating the second place team at state by 43 points. The 1977 team had a record of 20-2 and captured the state title for the 4th straight year beating the second place team by 80 points.